How relevant is Arslantepe to the PIE homeland debate? Great talk from a masterful archaeologist! Potent arguments for a long-lasting Kura-Araxes migration comporting viniculture. 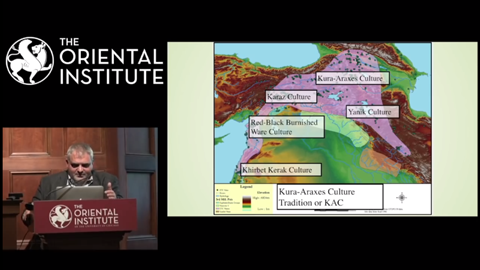 Very interesting and the explanation of both how the kuru-araxes culture co-exited in the levant and northern iraq with other cultures and how it was later integrated very interesting. This obviously has implications for how both languages and genes can spread in bronze age cultures. Can't wait to watch it. Oriental Institute is in my home town. It's an awesome museum. Mead on the other hand has to be prepared in a special way. Honey does not contain any natural yeasts and natural fermentation occurs very rarely; most of the time honey mixed with water will rot and not ferment into mead. Wine yeasts are added to start fermentation and even the smallest amount of bacteria can spoil an entire batch of mead. So it is difficult to make and not natural. It can be also very costly if left to chance as most of honey used for production will rot. Mead can be however produced safely and efficiently when hops are added. Hops have an antibiotic effect that favors the activity of yeast over less desirable microorganisms. Therefore honey mixed with water and hops will always ferment into mead and will not rot. Hops were used for mead or beer production in Central-Eastern Europe since immemorial times. It suggests that Greek religion was influenced by northerners and IE homeland was outside indigenous environment of the wild grape wine. with the evolution of the Albanian phonological system. Apparently the Kura-Araxes Culture is being seriously considered as a candidate for the Proto-Indo-European culture, at least in part. Just something I heard. What's everyone's view on that? Seems far fetched to me, because it was present in many of the wrong areas of the Near East to be Indo-European, and to give rise to the proto-Anatolians. In fact, the Hittites are known to have expanded into much of former Kura-Araxes territory, not from it. Also, Kura-Araxes populations never made into onto the steppe. As far as I know, even their distinctive pottery is missing from the steppe. There is one Kura-Araxes individual belonging to R1b, but this is a late Kura-Araxes sample, and post-dates most of the Yamnaya R1b samples. Moreover, Kura-Araxes has basically the same genome-wide genetic structure as Maykop, so it couldn't have contributed any significant gene flow to Yamnaya, proto-Corded Ware, etc. Its mtDNA haplogroups also look specifically South Caucasian, and a bad match for Yamnaya mtDNA. 1. Does the Max Planck institute have anything to do with this? 2. Does this mean that you have to un-ban Olympus Mons? But seriously, what is the rationale behind this? Is it just because there was one R1b in K-A? Is this just a sort of reconstituted Armenian hypothesis? I think even Olympus Mons now realizes that neither Shulaveri-Shomu nor Kura-Araxes could have given rise to Yamnaya. "I think even Olympus Mons now realizes that neither Shulaveri-Shomu nor Kura-Araxes could have given rise to Yamnaya." I hope you're right, but wouldn't bet the farm on it. It's hard, though, to see the reasoning behind this idea, Kura-Araxes dosen't seem like a good candidate at all. That said, the existence of the Anatolian language family is pretty problematic. I've personally toyed with the idea that PIE did in fact originate somewhere in the caucuses, and then somehow spread out in both directions(making a big boom to the north and a somewhat smaller one to the south), but the ancient DNA record dosen't seem to support this. What's the chance that Proto-Indo-European and Proto-Anatolian were introduced into the steppes and Anatolia, respectively, by closely related Mesolithic foragers from the Caucasus, hence the Y-haplogroup J and basal ancestry in Eastern European Hunter-Gatherers (EHG)? That's about the only way that I can see that ancient DNA can be used to argue for a southern Proto-Indo-European, or rather Indo-Hittite homeland. But that would mean that the dating of Indo-Hittite would have to be pushed back to something like...10,000 BC? Otherwise, the southern homeland theory faces the same problem as the steppe homeland theory: no strong corroboration from ancient DNA data (despite what Wang et al. might want to claim). "What's the chance that Proto-Indo-European and Proto-Anatolian were introduced into the steppes and Anatolia, respectively, by closely related Mesolithic foragers from the Caucasus, hence the Y-haplogroup J and basal ancestry in Eastern European Hunter-Gatherers EHG)?" The scenario definitely has that "special pleading" feel to it, but I wouldn't say that it's impossible. The Hittites-through-the-Balkans idea seems more likely to me at this point, but are we sure that "Indo-Hittite" would really have to be that old for the Caucasian forager idea to work? Couldn't it have happened during, say, the early neolithic? But are we sure that "Indo-Hittite" would really have to be that old for the Caucasian forager idea to work? Couldn't it have happened during, say, the early neolithic? True, that Y-hg J sample from Mesolithic Karelia is "only" dated to 6773-5886 BC. "True, that Y-hg J sample from Mesolithic Karelia is "only" dated to 6773-5886 BC." Right, so, I'm far from anything like an expert here, but could the genesis of "Indo-Hittite" not have been during, say, the Samara period? The more I consider it's not such a bad idea. Yeah, even around 6,000 BC could work I suppose, with Indo-Hittite-speaking foragers making their way into the steppes soon after. But I have no idea how and why Indo-Hittite would find its way to western and Central Anatolia in such a scheme. It would have to travel through eastern Anatolia and then expand back much later with the Hittites. "Yeah, even around 6,000 BC could work I suppose, with Indo-Hittite-speaking foragers making their way into the steppes soon after." It would kind of correspond to that slow-but-steady increase in CHG-related ancestry that we see on the steppe beginning in the 6th millennium BC, would it not? "But I have no idea how and why Indo-Hittite would find its way to western and Central Anatolia in such a scheme. It would have to travel through eastern Anatolia and then expand back much later with the Hittites." The Hittites expanded from central Anatolia, did they not? Maybe their ancestors came to rest there, for whatever reason, and just kind of expanded in situ? I can't see why not. As far as why they ended up there, it's all prehistoric, and archeology can only tell us so much about the social landscape at the time, it could have happened for any number of reasons, if we're honest. And here's a hare-brained idea, what if that one neolithic Haji Firuz sample, the one with too much steppe ancestry, that everyone thought should have been BA, was in fact dated correctly? Maybe some very EHG admixed Caucasian foragers were headed southeast at that time? Excuse me, I meant southwest, derr. Associateing civilization with agriculture and civilization with IE. Thats the what european centrist archaeology have done in near east for last 2 century. Max planck was the leading institute with this approach. They try to make this already collapsed harming attidude popular again via thier the weakest chain. The genetics. Thats why i support steppe theories which seems already proved by genetic studies. "Tremendous progress has been made in the last five years on solving problems that for decades have obscured the origins of the Indo-European languages. This work-in-progress review summarizes recently published and some unpublished data from genetic studies of ancient DNA (aDNA), as well as new archaeological and linguistic studies relevant to understanding the origins of the Indo-European language family. A geographic origin in the steppes north of the Black and Caspian Seas is well supported for later Proto-Indo-European (PIE), but the ultimate geographic and archaeological origin of the oldest phase, preserved uniquely in the Anatolian branch, remains disputed. Here we will outline the topics on which an integrated, interdisciplinary agreement seems possible, and those where the data from one discipline seems to contradict or fit badly with others. Has anybody heard more about it? "What's everyone's view on that?" Bjorn 2017 has a list of potential loanwords in PIE and there the PIE reconstructed word for wine is considered a possible loan from Kartvelian. That would also make the Semitic word for wine a loan from Kartvelian. To be honest, there also is a possibility to link it to a PIE root which would make both the Semitic and Kartvelian word a loan from PIE. It seems important as this talk shows how important viniculture was to K.A. Also, the legacy of the spread of K.A. would be hardly or even not at all visible. However, Hurrian and Urartian languages pretty well match K.A. Anatolian Hittite language is said to have a Hattic but not a Hurrian substrate whereas the Anatolian Luwian language is said to have a Hurrian but not a Hattic substrate. That does not point to a spread from east to west. Little discussed fact: The Wang paper never managed to model Maykop without 4% EHG. That's the lecture or paper that Mikkel mentioned in the comments here. I wonder if Anthony took into account the weak genetic links between Yamnaya and Maykop? I hope so. It's likely that low population densities in Eastern Europe during the Eneolithic ensured the rapid spread and rise of admixture from the Caucasus across much of the Pontic-Caspian steppe, which then plateaued at around 50% during the Yamnaya period, when population densities on the steppe may have become high enough so that continued gene flow from the Caucasus no longer had much of an impact. Which back migration is this though? Doesn't that slide refer to the back migration of Corded Ware people that formed Sintashta? I reckon it indeed is that. It solves the issue of how the Indo-Aryan branch managed to use agricultural terms with deep PIE roots when there is no proof of any agriculture east of the Volga from before 2000 BC. @Epoch - I would go on a limb and suggest that Proto-Kartvelian might be a (relatively) late comer to the Central Caucasus and "ghvino" is more likely to be of some kind of Huro-Urartian origin. Ardych-Burun". Two are somewhat old, especially the second one, which dates to 2010, and none are from 2017 onwards. Also, they may contain ideas that are falsified by ancient DNA. May be helpful to obtain DNA, if possible, from all of the cultures discussed in the papers. to me this seems like a simpler explanation for 1) the early language split followed by isolation 2) lack of evidence for a tribal migration along the whole route 3) gradual takeover vs sudden conquest. don't know how you'd prove it though - some sunken ship or battle site the hittites lost and couldn't cremate their dead. Watching the K.A. map I'd say the trajectory towards Semitic would be parsimoniously explained by such an origin. Somewhere I saw a story reporting a new paper finding that beer yeast is derived from two kinds of wine yeast, suggesting that beer may have postdated wine, per DNA analysis of each. Can't find the cite right off. Nobody has given attention to the fact pre-Slavic genomes from Balkans have big loads of Yamnaya ancestry. As we know, iron age peoples in the Balkans spoke Indo European languages. Their Yamnaya ancestry can't be explained by Corded Ware or Bell Beaker. It derives from an independent, but still big, migration of Steppe people during the Bronze age. There's also Balkan individuals very similar to Balkans_IA in a Medieval Bavarian burial, Scythian burial in Moldova, and Scythian burial in Hungary. There's many southern European individuals in Lombard burial in Hungary. They have various genetic makeups, ranging from BalkanIA-like, to CroatiaIA-like, to Italian-like. But all of them have at least 20% Yamnaya ancestry. Hittites & Armenians have a word for wine. Proto-Indo-Europeans had a word for both wine and wheel[oldest wagon burials? oldest wine samples]. Assyrians are modeled very similar to Armenians on pca. It would be interesting to compare proto and Afro-Asiatic languages with Hebrew/Assyrian and their root words for wine and wheel, since they may have had contact with Indo-European tribes R1b-Z2103+ around wine region Hajji Firuz Tepe. If they cant be explained by bell beakers or corded ware then who do you think ? There are many ways of making beer. In wine producing areas they were probably adding wine yeast. It is important to understand that without hops it would not work and water with barley would rot. Hops have an antibiotic effect that favors the activity of yeast over less desirable microorganisms and this makes proper fermentation possible. Hops (xъmel/soma/haoma) was considered a holy plant in Slavic-Indo-Iranian cultural area. Slavs believed that hops turns barley with water into beer or honey with water into mead and that hops causes intoxication. Slavic xъmel (hops) cult and soma cult in India were very similar to Dionysus cult in Greece. Greeks believed that Dionysus turns water into wine. Also in Christianity Christ turns water into wine which is explained as an influence of some Greek mystery cults on Christianity. Continuing with my last post, scholars tend to give simplistic descriptions of the Bronze age Steppe migrations into Europe. In, papers & conferences they describe it as one migration. This approach diminishes the amount of genetic support for Kurgan hypothesis. Because it wasn't just one migration. There were many independent migrations. Yamnaya Hungary, Bell Beaker, Corded Ware, Bulgaria IA, all trace to different migrations. PIE weather and climate terms may help pinpoint the location in which they lived. They knew hot (*gʷʰer-, and *kay-) and cold (*gel-, and *sriHgos), snow (*sneygʷʰ), hail (*grad-), ice (*yeǵ-), mist (*snewdʰ-), lightning (*meldʰ-), and thunder (*tónr), but there is no protoword for rain. They also knew spring (*wésr), summer (*sem-) and winter (*ǵʰey-), but oddly no protoword for fall. When piecing it together, it becomes clear that PIE speakers lived in an area where precipitation was snow to a significant degree, with some rain, and with wide temperature swings, enough to have two terms for both cold and hot each. The presence of a protoword for ice suggests that the winters were below freezing. The climates that fit that are humid continental and possibly semiarid. As for where, both the hot summer and cool summer subtypes of humid continental climate, and the semiarid climate are present in the Pontic-Caspian Steppe, with the semiarid climate being exclusive to its eastern third. Come on - honey itself is antibiotical - more than hops and can be stored for years and can't rot. Honey is product of fermentation and it still ferments while stored(natural sugars help there) - people nowadays have not tasted honey, that is strong. If you are interested to see where your information about beer is at fault, watch vice documentary about natural honey gathered from montains - that made whole village intoxicated(with meaning: drunk). I have not tried mead, but from what I understand it is mainly diluted honey and mention about turning water into wine from this perspective makes more sense. "Hops were used for mead or beer production in Central-Eastern Europe since immemorial times." This is not true, as it is just false advertising. Most of current beer production is influenced by germans, which used hops in mass production since those "immemorial" ancient times, but there is really no need for hops to produce alcohol from fermentation of grains. I have heard a tale, that germans learned how to make beer with hops from my ancestors, but that's, pardon my french, is complete BS, so are any other tale from others. Germans were the first ones to make beer with hops as mass production since ancient times and rest followed them. Neither beer nor mead needs hops. If we are strictly specific, beer is english name for ale made with hops, where ale is drink produced without hops. Only grain producing societies would come up with the idea of making beer and hops, for example doesn't grow in Egypt, and we know that ancient Egyptians were making beer. If you can bake bread, you can make yeast and ferment beer, too. It is not a rocket science. Main ingredients of beer are grain and yeast - I suppose molasse(yeah, you can use honey, but that is rather expensive nowadays) is added as well, but I'm not really sure... as I know how to make spirit and that is more like rocket science as your pot can explode. It is hard to understand when was relatively late for Proto-Kartvelians, but I have some blank spots in knowledge and questions about that region, however I gravitate towards thought, that Georgians along with Circassians are candidates for common Hattic or more probably Hattic related roots. Nakh and Dagestani(along with now turcified Azers) were a very late Huro-Urartian related influx in Caucasus. Hardly they brought wine making, because wine making was known in Georgia thousands of years before arrival of Huro-Urartian relatives. Armenians before they mixed with IE also looks like Huro-Urartian stock. Maybe Indo-European names from Armi made them think Kura-Araxes as a possible PIE candidate? The origin of Hurri-Urartian languages were already in Caucasia.The spread map of Kura-Araxes culture is perfectly match for the area where HU languages were spoken. "Nobody has given attention to the fact pre-Slavic genomes from Balkans have big loads of Yamnaya ancestry. As we know, iron age peoples in the Balkans spoke Indo European languages. Their Yamnaya ancestry can't be explained by Corded Ware or Bell Beaker. It derives from an independent, but still big, migration of Steppe people during the Bronze age. " Well, considering that Late Bronze Age Bulgarians have far more steppe than Early Bronze Age Bulgarians I think it was quite a lot of back and forth migration. But what is also very interesting is Vucedol. It started roughly 3000 BC, showed evidence of a stratified society, showed evidence of a warrior culture. Two samples from Mathieson which are form the same cemetery cluster with Yamnaya Bulgaria and normal Neolithics respectively. The site had a so called Megaron, a large house which sometimes is associated with the spread of Anatolian and/or Greek languages. It looks like a basically similar pattern like Anatolians. The other sample is one Chalcolithic burial in a Neolithic site and has half of the steppe as the Vucedol steppe sample, by the looks of the PCA. This really looks like an elite spread. Have you collected this Alemani data? Only BAM files are available for that paper. Use google and read about mead making. You will learn that special yeast has to be added and everything has to be very clean otherwise water mixed with honey will rot and not turn into mead. I don’t think Corded Ware people used modern technology for cleaning and imported good wine yeast from wine making countries. Hops was the best solution like described in ‘The Kalevala’ . “"Hops were used for mead or beer production in Central-Eastern Europe since immemorial times." Hop/humle/chomel/chmiel was a very important ingredient of mead and beer in ancient times, so by metonymy hop = mead or beer. Somic exhiliration, i.e. being drank with Soma in Vedic, in Slavic languages is similarly called ‘hopic exhiliration’ (i.e being drank with Hop = mead or beer(by metonymy)) [‘podchmielony’ in Polish]. In ancient pre-Christian Slavic culture personified Hop had the same role like Soma in Vedic culture or Dionysus/Eros in Hellenic culture. He was a god not only responsible for proper fermentation i.e. turning water and honey into mead or water and barley into beer, but He was also a god of love, uniting people and also fertilizing fire god responsible for making children or stimulating poetry etc. In later Christian Slavic culture that role was taken by Christ. The link between Soma, Dionysus/Eros and Christ is well described in literature. I have make mead using traditional methods from water, honey and bread yeast. Less steps to go wrong than wine making, but it takes a 9 months of ageing before it is drinkable. If I did not have bread yeast, then I know how to make a suitable yeast naturally, but I think our ancestors did not have this knowledge. They relied more on unclean containers, prayers and magic. Making mead is very forgiving of sloppy technique. And there are alternatives to hops for beer making, such as ground ivy, which grows wild in UK forests. Like you said above, there are many ways to make beer. Look up the 1516 German purity law on google to find out why hops became the standard. @gL Ale is beer without hops and beer is made with hops? Have you ever heard of IPA, India Pale Ale? it is known to be often heavily, heavily, hopped. I had understood the distinction between ale and beer was that one top fermented and the other bottom fermented due to different types of yeasts. "But in Corded Ware areas where it was too cold for wine production they were mixing water with barley and hops and waiting for some magic maidens to add some pollen or berries (which contain natural yeast) to start a fermentation:"
"It is important to understand that without hops it would not work and water with barley would rot." We have medieval records of what was put in beer and hops are a relative new additive. Furthermore, if brewing back in the neolithic was anything like it is today your remark that mixing barley and hop with water would produce beer is false. Barley must be turned into malt, then a porridge is made from that, which is heated to somewhere between 60 and 70 C. This process is needed to release the amylase that will produce sugar from the grains starches. In the Middle Ages brewers tested temperature with their elbows! After that the resulting wort is cooked with the additive, nowadays hops. So you basically start with a sterilized batch. Considering that after only a few days most of the sugars are converted to alcohols - contrary to wine - if you work cleanly nothing will rot. There may be a possibility that raw barley and water and hops produce something but I haven't heard from that. I reckon it won't be very intoxicating. Beer brewing with malts and so has been described in the neolithic Middle-East from, IIRC, 5000 BC onwards. Previous brewing additives were Myrica gale, mugwort (Good in onion soup too, I can attest) and yarrow. There are a few misunderstandings about beer (and mead) being made on this forum which as a home-brewer I may be able to clear up. 1. The Germans were not the only early brewers - other Germanic folk such as the English and Scandinavians were in on the act too! In England hops only began to be used in brewing in the later Middle ages. I believe they were used in Germany and France earlier. Hops do have sterilising properties and are useful in extending the shelflife of a weakish beer (up to 6 months). However the key factors to ensure the beer doesn't go off are the initial boiling and then the presence of alcohol. 2. There is no need to assume the use of wine yeasts in brewing. In much of Britain and the rest of Northern Europe there is no winemaking as it's the wrong climate for grapes. In any event there are a number of wild yeasts which are endemic in Northern Europe (and presumably elsewhere) - some of which convert sugars to alcohol and carbon-dioxide and others which convert alcohol into acetic acid and carbon-dioxide. Until early modern times brewers were unaware of the importance of yeast and relied on the fermentation just starting (presumably from yeast in the air). It will have been a chancy business in earlier days making your first beer but once brewing was established at a brewery most of the 'wild' yeasts at that brewery site will have been descendents of the yeast successfully used in that brewery which is why Belgian Trappist brewers who still today rely on 'wild' yeast are so successful not only in brewing beer but also maintaining their style. 3. The difference between 'beer' and 'ale' in English has never been between hopped and unhopped drinks, although 'ale' being stronger doesn't need hops to prolong its shelflife. Until the 16th century when tea replaced small-beer and whiskey and gin replaced ale in England beer was brewed in three mashes. The first produced a strong (? ?8%) beer known as ale, the second a quaffing beer (? ?4%) known as beer and the third a weak brew (? ?2%) known as small-beer and drunk in the mornings or by bairns. Ale was always taxed at a much higher rate to beer in the middle ages. 4. Barley left in water will rot, but not if it's malted, mashed and then fermented. The big technical problem with brewing before the invention of the thermometer is the need to 'mash' at a temperature of between 60° and 70° Celsius for 90 minutes to convert the unfermentable maltose into fermentable sucrose. 5. I have drunk mead and certainly the local meadery near here in the North of England claims to be maintaining an unbroken tradition from the past although the strengths achieved today can only be achieved with wine yeasts. However there is no reason to assume mead in earlier times was as strong as today. I have also brewed mead and it is not easy to get going however there is no reason why it could not be brewed starting with a fermenting strong ale and then adding honey and water until it is almost all mead and no ale. Indeed I have never known mead with hops in it! "The idea that the late 5th millennium Suvorovo migrants to the Danube spoke proto-Anatolian (PA) and that their descendants migrated to Anatolia along the western Black Sea coast is refuted by all categories of data" (...) "and genetic (Mathieson et al. 2018)"
The two clearly steppe related Chalcolithic from that actual paper are found in a Varna burial, the culture immediately preceding Suvorovo and in Smyadova, which is adjacent to the Suvorovo area. They can be hardly anything else but Suvorovo proxies. "The Hittites, like the late 5th millennium pre-Maikop (Darkveti-Meshoko) and 4th millennium Maikop people, reveal a mixture of two southern autosomal components––western (EEF) and eastern (CHG, derived from southern Caucasus and Iran), but no northern/steppe (EHG) component"
"The worst match is|Z|=2.824 for this graph. We note that the maximum discrepancy is f4(MA1, Maykop; EHG, Eneolithic_steppe) = -3.369 if we do not add the 4% EHG ancestry to Maykop." That doesn't mean, IMHO, that this extra-EHG-in-Maykop model is necessarily true (The model constructs EHG as only ~10% ANE, which makes it suspect) but it does means he hasn't read the paper very well. Numbers don't state contact, as they are frequently used in trade and thus are able to "travel" long distance. The cow connection is basically because "*gwṓu-" is an onomatopoeia - immitating cow sounds - which can easily explain similarities without actual contact. That leaves mead. The Semitic connection doesn't seem to amount to much. And that's why conclusions are important in papers or even in manuscripts, because a lot of people will put a lot of weight on a conclusion when it's written by people in authority. So when the scientists at Max Planck Jena and/or Broad MIT/Harvard write a conclusion that suggests Maykop migrants gave rise to Yamnaya, a lot of people will believe this even if it's contradicted by the data and findings outlined in the body of the paper. In Latvian name for hops is apinis - basic meaning is very simple - weaving or wraping and hops are parasitic species, who just like ivy weave around trees in wild. Hops can be used for tea and in sauna... so it is not exclusively ingredient of beer. I've seen some of them in wild in woods - that's were that tale about Germans discovering hops from Latvians was told... however as we know from history Germans came to Baltic long after they had beer production set up and name for beer - alus is also most probably(since I don't have a source, that says so, I can't say for sure, but official explanation, that makes claim, that Latvian had an original name for beer sounds dubious and that might be the case for any other - including slavic claim) German heritage in Baltic languages. Since there is no mention of apinis in any form to Eastern Slavs, which more than others has base of Baltic lexicon, I highly doubt, that chmel was the name used for hops in original and most likely Germans introduced hops with beer production in middle ages to Slavs. Name chmel can not come from Slavs, because it was already widespread as humulus in Latin and it seems, that Germans use latin word, which in turn was given to Slavs, when they appeared in German vicinity. Piwo is a form of a word of Drink, which in turn comes from Drinking - Pić, so it has nothing to do with Hops. As for how ancient is use of Piwo in slavic - it probably isn't that ancient and only notes that locals adapted their own word and did not borrowed it from Germans. Germans were setting up Beer Brotherhoods(sometimes it included wine, too, so it looks like modern alcohol licensing office) everywhere where their traders went and that is North, East and Central Europe(Transilvania) and also Britain as early as 10th century. And with that type of professional beer making in process where there were specific laws made just for beer production it did not need to borrow anything from neighbours, but quite opposite - everyone around German breweries borrowed technology of beer making - Slavs, Germanic Angles, Scandinavians, Baltics and Finns etc. Beer production might be more ancient than wine, but modern beer production as we know it today comes from one source - Germans. Local varieties and adding different ingredients doesn't make it local tradition - and absolutely not ancient and original technology. That includes Indian Ale, which originally was made and transported from Britain. I do not like some things in video in 28:08, for example. That's some really bad brainwashing stuff. There was no Palestine before Romans came there... We can argue, if there was Israel during Kura-Araxes spread - well it is too early, but there is name, that was used by ancient Egyptians at around that time - Canaan. Yeah, times are very strange and people who have to visit Middle East has to speak with fear for their lives, but avoiding mentioning Israel and making Palestine ancient is some heavy rewriting of history. Germans and Western Europeans have absolutely nothing to do with Eastern European migrations to Sintashta and India and with the way Eastern Europeans used hops for beer and mead production before even Germans existed. I don’t understand what you are arguing about. Something is off when Maykop is still invoked as the source of CHG in Yamnaya, even though it is present in Khvalynsk, probably Sredny Stog, and EHG itself. The picture is that of a slow diffusion since the Mesolithic or even late Upper Paleolithic, instead of a relatively sudden Chalcholithic input. Something interesting was said in a recent study. Apparently Chadic speaking people only acquired R1b (V88) and other Neolithic Near Eastern looking DNA during the Arabic expansion around 600 AD. So if this could have happened then what is the chances that something similar could not have happened with Hittite ? At best, we're dealing with some spectacular wishful thinking, and, at worst, I honestly don't know what the hell is going on. It seems to me that in some people's heads the South Caspian region has to be the Indo-European homeland no matter what, by hook or by crook. This is obviously a dangerous game, because in the end the only thing that will matter is what the data show. I don't think anyone actually believes that study's claim that R1b-V88 in Central Africa comes from recent Arab immigrants. Even if it were true, it would only mean that R1b-V88 wasn't associated with the spread of Chadic languages, which doesn't really have any linguistic implications. If you think about it....European variation was considerably different before the Slavic migrations. Today, most south Slavs cluster near the center of the main European cluster. 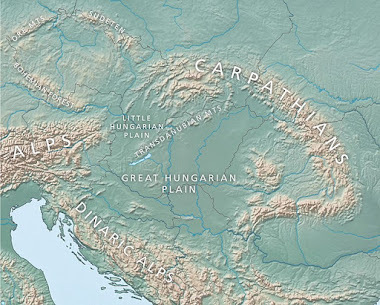 Before Slavic migrations many probably clustered pretty far away from it. Some were still overwhelmingly EEF in origin. Some were 35-40% Yamnaya. SZ19 was born in Pannonia Roman province but buried with Lombards. She had 75% EEF ancestry, today Serbians top this region with 50%. A feature of Iron age, Medieval Balkan genomes is they almost completely lack WHG ancestry. If their 20-35% Yamnaya ancestry derived from Sintashta then they'd also have WHG ancestry. A few from the Lombard burial have 35% Yamnaya ancestry but only 2% WHG ancestry. If their 20-35% Yamnaya ancestry is derived from Sintashta then they'd also have WHG ancestry. Could Y-haplogroup Q1a2b be IE-associated? A map of its distribution could be helpful. You can't post here because you're banned from this blog. But yeah, there's no evidence in the ancient DNA data of migrations from what is now Iran giving rise to Yamnaya. On the other hand, there's plenty of evidence of population movements from the steppe into northwestern and northeastern Iran, not just in the ancient DNA data, but also archeological and linguistics data. It makes no difference what you want to believe, or what creative interpretations of the data you might see from some confused scientists. Facts are facts, and you'll have to deal with them sooner or later. All the best with that. Now run along. It’s by Daniel Shriner so is immediately suspect.